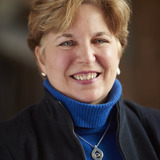 Connie Johnson considers one of her greatest assets working in nonprofit fundraising (individual giving, event planning and communications) for over 16 years, truly understanding nonprofit challenges from their side of the fence. Her nonprofit background includes work for the St. Paul Area Council of Churches, the Minnesota Safety Council, and the Multiple Sclerosis Society, and she offers her sincere thanks to all who have been generous to these causes. Now in its 29th year, she is also responsible for the marketing and operations of Kurt Johnson Auctioneering, Inc., an award-winning team that specializes in benefit auctions and includes: eight Minnesota Champion Auctioneers; seven past presidents of the Minnesota State Auctioneers Association; three Minnesota Hall of Fame auctioneers; four CAI (Certified Auctioneers Institute) designees; and eight BAS (Benefit Auctioneer Specialist) designees. Connie Co-Chaired the National Auctioneers Association’s 2013 Benefit Auction Summit with her husband, Kurt, when the event sold out for the first time and 96% of attendees said that it met or exceeded their expectations. She is a member of the National and Minnesota Auctioneers Associations. Connie is the 2018 recipient of the Certified Auctioneers Institute's Pat Massart Leadership Award, chosen by her peers as the most outstanding leader of her class and awarded a scholarship in the amount that she paid for her final year's tuition. She is also a past recipient of the National Association of Women Business Owners’ Established Woman Award (Minnesota Chapter), honoring "pioneering women who have forged their own paths to success and carved out new rules in business with intelligence, compassion and courage." Connie has also won numerous marketing awards for Kurt Johnson Auctioneering. She earned her B.A. in Public Relations from St. Mary’s University of Minnesota. She was later elected to serve on her Alma Mater's Alumni Board and served on other boards throughout the state during her work with the Minnesota Safety Council.